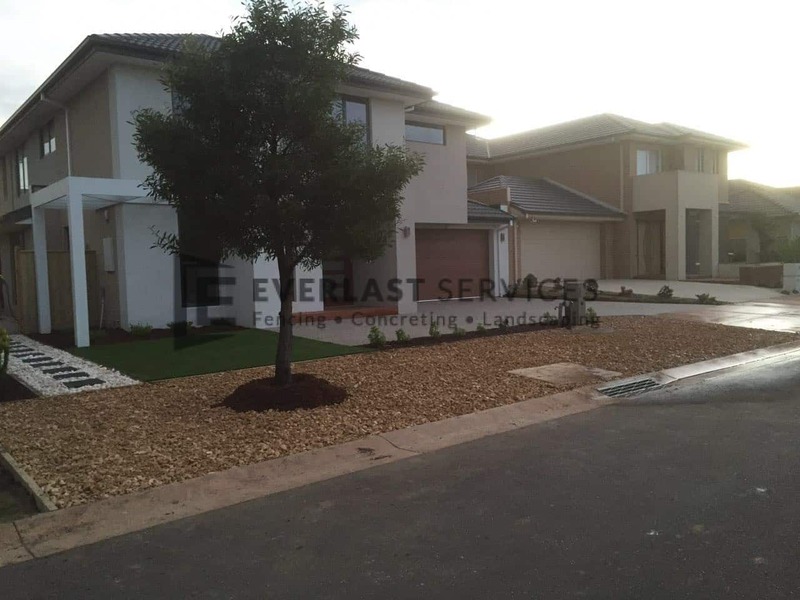 Everlast Services recently completed this large landscaping project in Sanctuary Lakes. 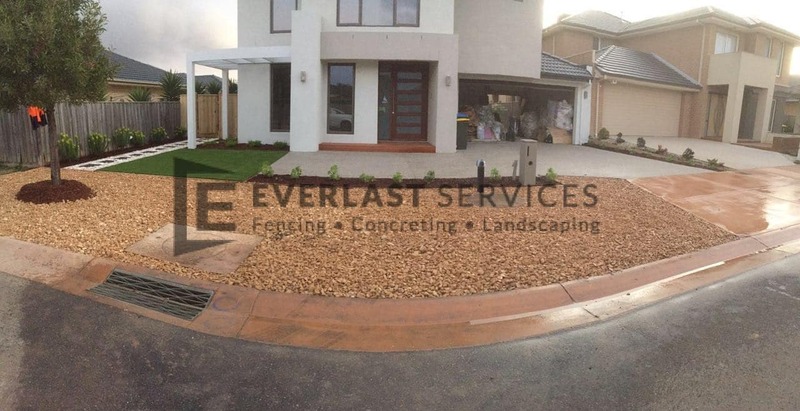 Our dedicated, reliable team of tradesmen and landscapers were on-site for just over a week. 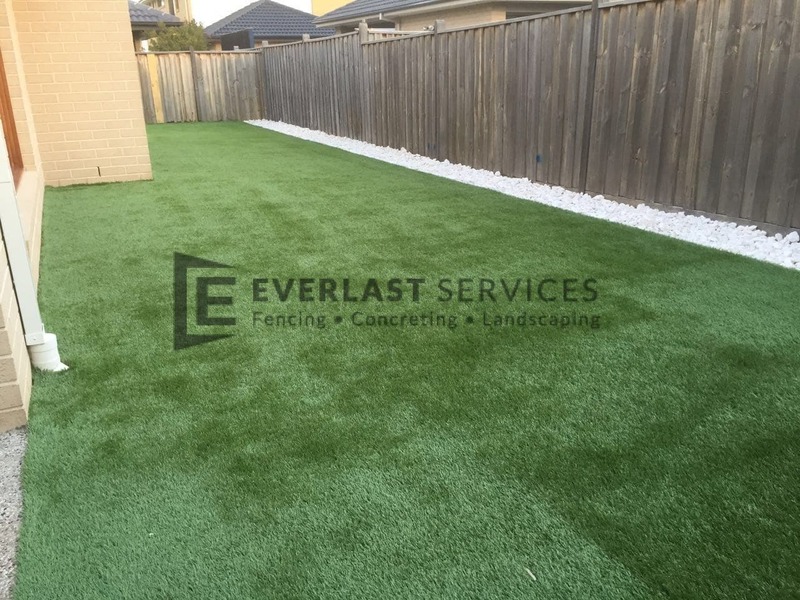 We laid a sizeable amount of synthetic grass. 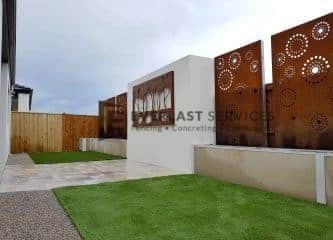 As a result, our client will now have very little maintenance around their garden. With synthetic grass, there’s no need to water regularly, and yet your lawn still looks lush and green all year round. 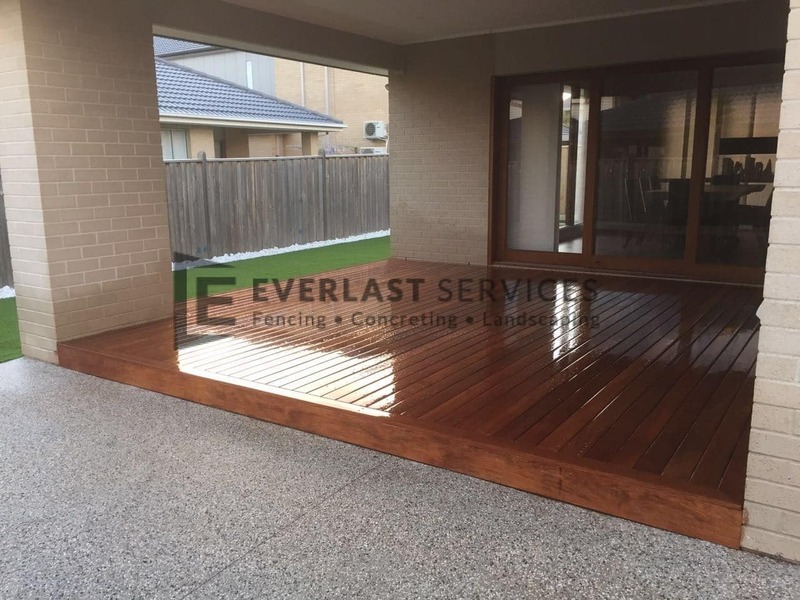 We built a strong, durable deck at the rear of the property. 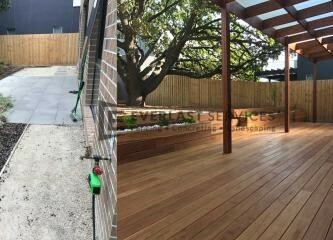 Now, all our client has to do is set up their outdoor furniture and BBQ, and then site back and relax, and enjoy their brand new backyard. We installed pebbles and stepping stones around the property. This has given the yard a much more interesting, dynamic look, with its varied textured finishes. It’s these little touches that turn a house into a home. 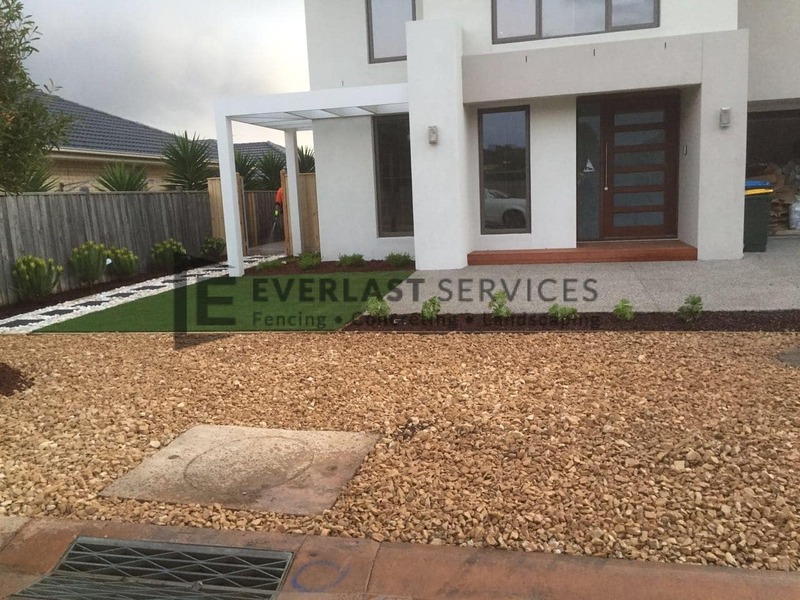 We planted numerous plants, all of which were chosen to suit the Australian climate, the soil in the area, and the overall look that our client wanted to achieve. The end result is one that has truly delighted our client. 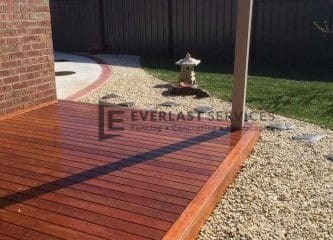 So, if you’re looking for masters of backyard beautification, then why not contact us today? We really are your one-stop-shop when it comes to all your backyard needs. 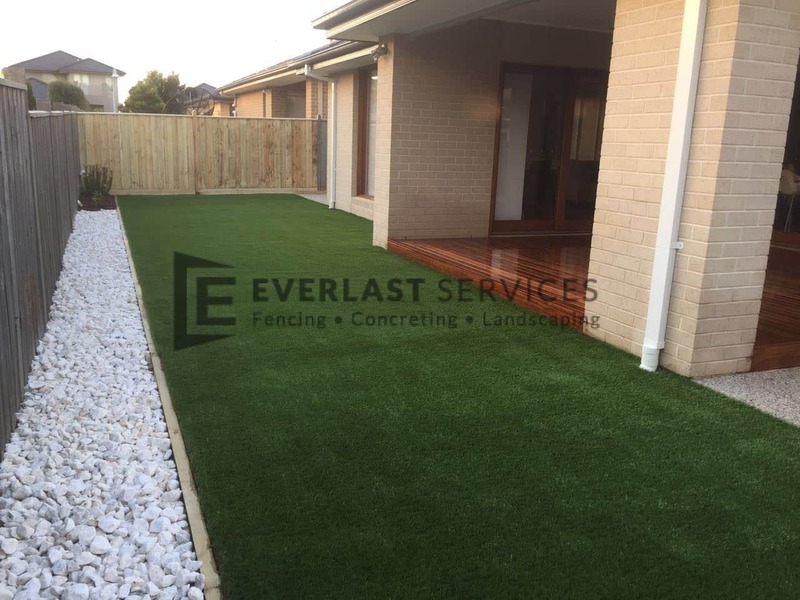 From fencing to landscaping and concreting, we can help transform your front and backyards.